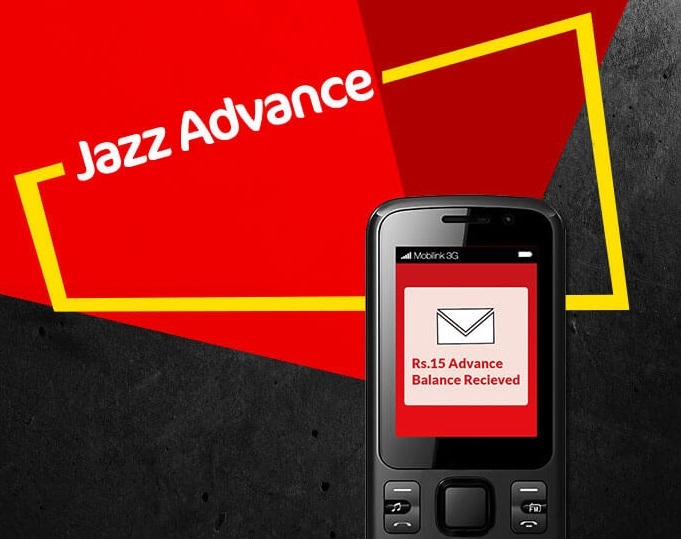 Today we are going to take a look at Jazz Advance Balance or Jazz Loan service or Mobilink Advance Balance code. Jazz is one of the leading telecom service providers in Pakistan in terms of mobile subscribers after Mobilink merged with Warid. With a legacy of more than 20 years, Jazz maintains market leadership through cutting-edge, integrated technology, the strongest brands and the largest portfolio of value added services in the industry. Currently, Jazz is providing internet services 2G, 3G, and 4G spectrums to serve more than 50 million customers. JazzCash, a digital financial service provider under Jazz’s ecosystem, has thousands of retail outlets in Pakistan. JazzCash recently announced that its monthly active mobile account customers have crossed the 2 million mark. Previously, we talked about Jazz SMS Packages, Jazz Call Packages, Jazz 3G/4G Internet Packages and Jazz 3G/4G Internet and MMS Settings. Like other telecom companies, Jazz also provides its customers the facility of getting an easy load in case of emergency. Jazz Advance Balance enables customers to obtain a loan whenever their balance drops below a threshold of Rs. 15. This service is for prepaid subscribers only. When you avail the Jazz Advance, then an amount of Rs. 18.5 (i.e advance Rs. 15 + Rs. 3.5 Tax) service charges will be deducted from your next recharge.